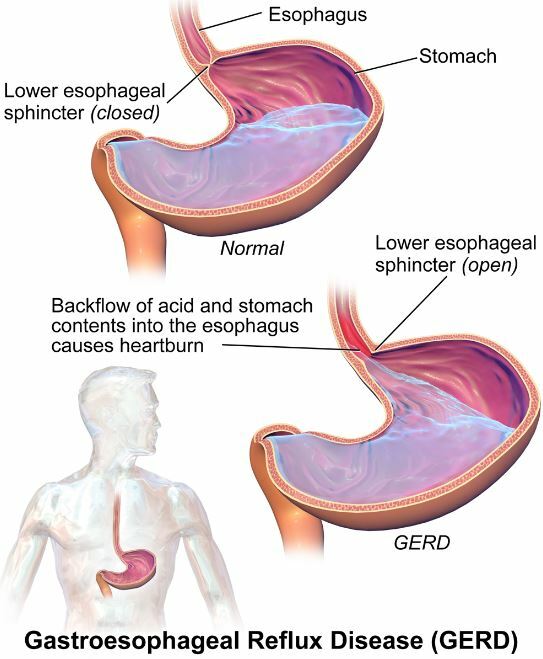 Home remedies for gastritis: Gastritis is the inflammation of the inner lining of the stomach which is medically known as the gastric mucosa. Depending on the amount of gastric mucosa involved, gastritis can be either acute or chronic. Before proceeding to home remedies for gastritis, here are some facts you need to know about the condition. Acute Gastritis begins all of a sudden, lasting only for a short period though. Chronic Gastritis, however, is an ongoing problem that can stick around for years. People who consume too much alcohol, people suffering from diseases such as HIV/AIDS, Crohn’s disease, and parasitic infections are at a higher risk of contracting gastritis. In most cases, acute gastritis clears up in a few days. Chronic gastritis, on the other hand, requires consultation with your doctor. Certain lifestyle changes can make all the difference in the world, and if you’re unsure of exactly what you need to be doing, the following listicle might come in handy. Keep away from spicy food such as hot sauce, peppers and so on. Avoid packaged and processed foods that are high in synthetic ingredients and chemicals. Eliminate alcohol in its entirety from your diet. Increase your intake of fresh foods such as organic veggies and fruits. Rather than eating bigger meals, divide your meals into smaller amounts at regular intervals. Make sure to drink eight glasses of water every day, avoiding sugary drinks altogether. For mild cases of gastritis, home remedies work exceptionally well. Here are some home remedies for gastritis that will help you out. It is said that regular intake of strawberries can aid in the reduction of the ill effects that alcohol has on the body, particularly the stomach mucous membrane. Strawberries make for a great home remedy for gastritis as they are antioxidant in nature with a high concentration of phenolic compounds. This essentially prevents the stomach lining from getting inflamed in the first place. All you have to do to prevent gastritis is to regularly consume strawberries. To a hot cup of water, add a tablespoon of the dried leaves of strawberry. Allow this to steep for about five minutes, before straining. Consume this twice or thrice a day until the symptoms subside. For respite from acidity and hyperacidity, carom seeds are proven beneficial. In addition to that, they help treat indigestion, nausea and bloating. Carom seeds, being antacid in nature, is indeed one of the most effective home remedies for gastritis. To a glass of buttermilk, add a teaspoon of carom seed powder along with half a teaspoon of black salt. Consume this liquid twice every day for best results. Mix in a teaspoon of carom seeds with a pinch of black salt and dried ginger. Consume one teaspoon of this mixture in a glass of warm water thrice a day. Boil two cups of water with four teaspoons of carom seeds. Strain this mixture once it reduces to half of its original content. Drink half a cup of this mixture, twice every day. Yogurt deserves a special mention in the list of home remedies for gastritis as it protects the lining of the stomach from the bacteria causing gastritis. It also aids in boosting your overall immune system, thereby fending off further infections and healing an existing one immediately. Be sure to add yogurt to your daily diet if you happen to suffer from gastritis. Consume two or three cups of probiotic yogurt until you get relief. You could also try a smoothie made with banana, honey, and yogurt. Drink this twice every day for instant relief. Peppermint has a long list of ‘anti’s’ including the likes of anti-inflammation, antibacterial and antispasmodic. The soothing properties that it comes loaded with reduce the inflammation of the stomach lining. An added bonus is that it also reduces nausea, indigestion, and heartburn in the process. Chew on a few fresh peppermint leaves or simply add them to your soups, smoothies, and salads. You could also opt for standardized enteric-coated peppermint tables- about one tablet twice a day. Be sure to consult a doctor for the exact dosage. Compared to the other home remedies for gastritis, chamomile tea is on the milder side. Don’t take its mildness for a weakness though, for it is rich in certain essential oils that can boost the overall health of the digestive system. With chamomile comes a number of benefits including relief from sudden pains, soothing intestinal walls and elimination of gas. It also reduces stomach inflammation, reducing the risk of ulcers. Add a few teaspoons of dried chamomile flowers to a cup of hot water. Allow this to steep and cover it for about ten minutes. Strain this and add some honey to it. Drink this tea several times a day for an entire week. Ginger alleviates gastritis as it is anti-inflammatory and antibacterial in nature. Stomach pain, indigestion, nausea and bloating can also be treated with ginger. Mix half a teaspoon of ginger juice and honey. Consume this before eating your meals twice a day for an entire week. To a cup of boiling water, add a teaspoon of fresh chopped ginger root. Cover this and allow it to steep for ten minutes. Strain soon after and add honey to it. Drink this tea twice a day for an entire week. Alternatively, you can chew on a small piece of fresh ginger root to treat gastritis. Related: How to get rid of nausea? We hope that these home remedies for gastritis will come in handy the next time you’re down and out about it. Be sure to consult your doctor if the symptoms worsen with time or show no signs of improvement within three days.